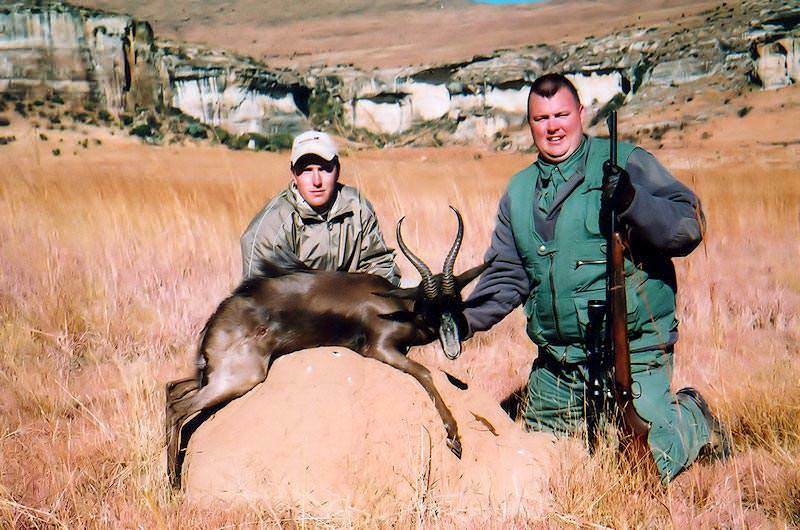 Black springbok are one of the most unique trophy animals that can be hunted in South Africa. 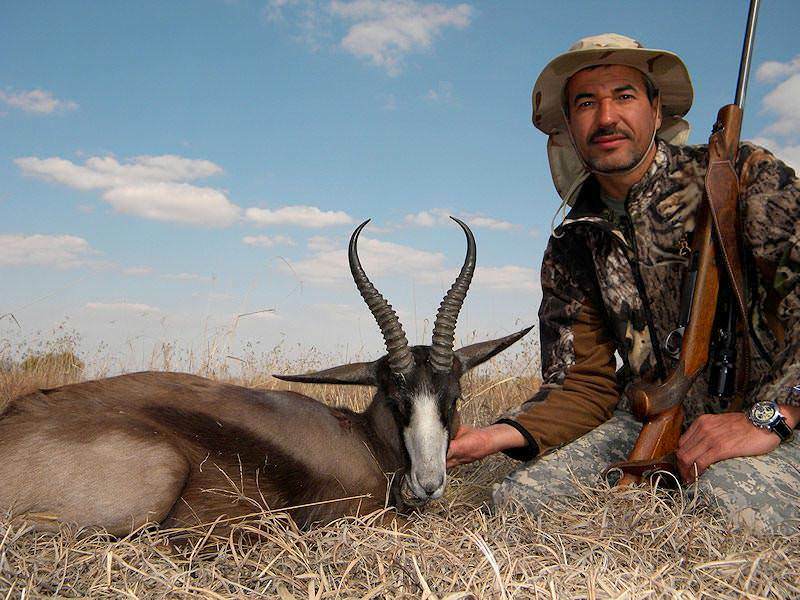 Hunting black springbok will certainly challenge even the most experienced plains game hunter. Like the white springbok, this very desirable trophy is most often mixed in with a large herd of common springbok. 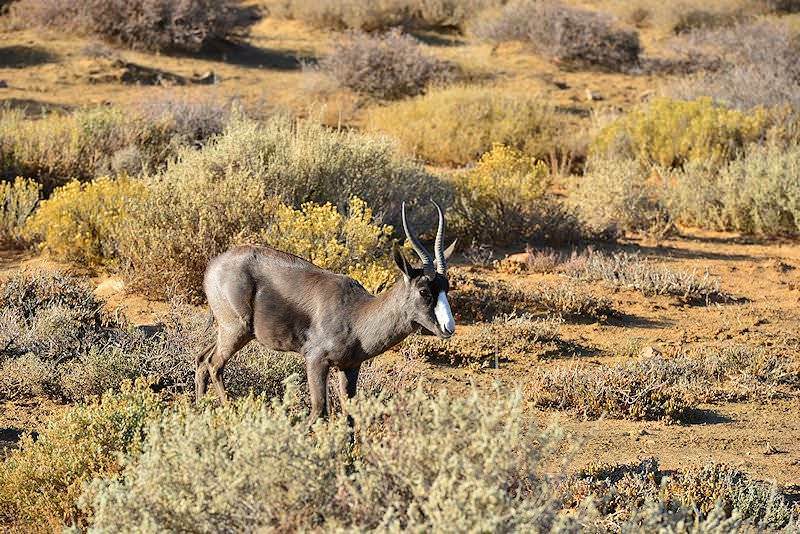 The large number of eyes, ears, and noses the hunter must elude to get into reasonable rifle range complicates hunting black springbok. 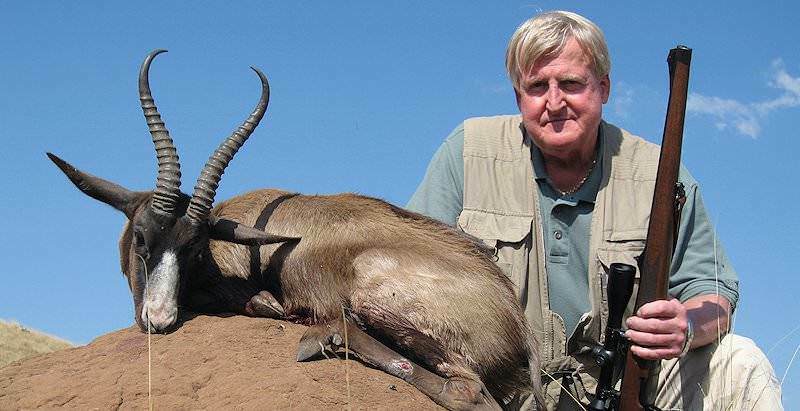 When hunting black springbok, unless you have extensive experience, you will need to defer judgment to your Professional Hunter, as their horns are relatively small and extremely difficult to judge. This task is further complicated by the fact that both rams and the ewes carry horns. 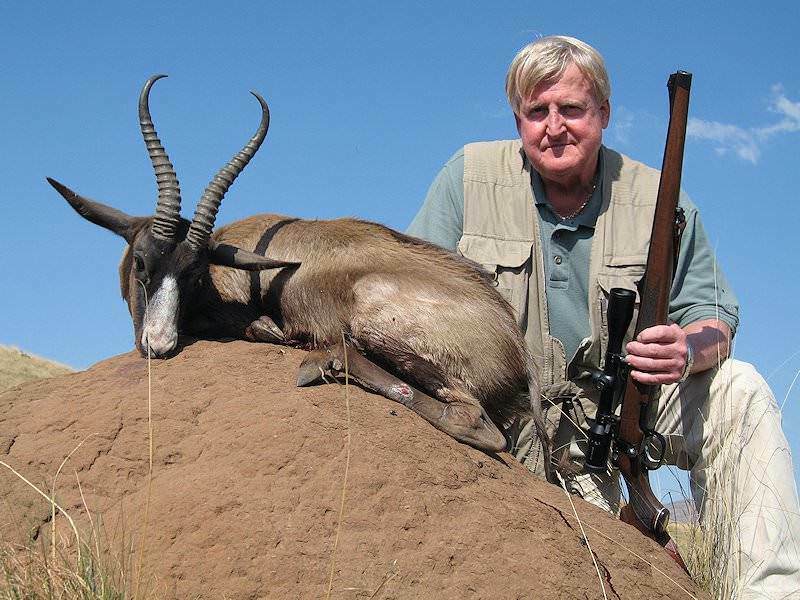 Hunting black springbok can demand shots in excess of 300 yards. His keen eyesight and reluctance to allow an approach that may be deemed threatening will demand a great deal of walking and even some crawling. 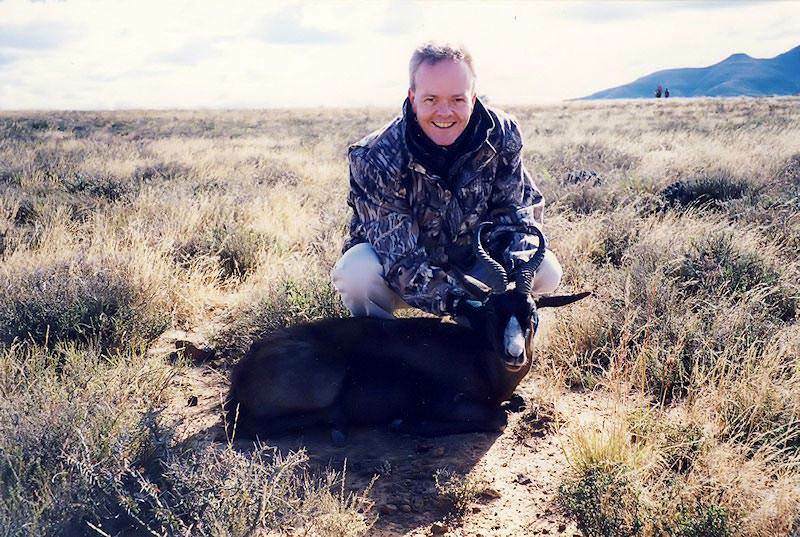 Hunting black springbok is best when using a flat shooting rifle of at least 25 caliber and a bullet of 120 grains, traveling about 2 600 feet per second. 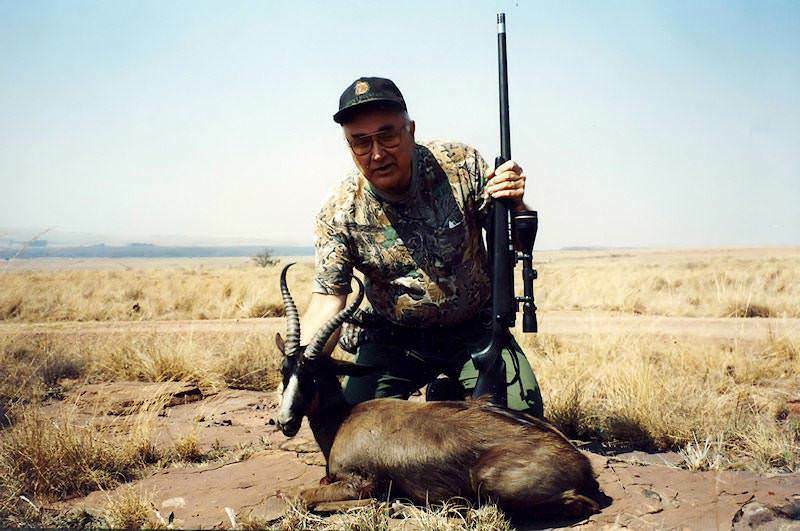 A scope of 6 power or a 3 to 9 variable will put the hunter in good stead for the long shots that are typically required.